"Tolkieniana Net comes back... let the festival begin"
The participation at the 2nd edition of Festival Tolkieniana Net, which will be held in Buccinasco, near Milano from 28 April to 1 May 2007, promises to be very abundant. There are many elements to preconize a number of visitors much more numerous than last year, when some 4000 people took part at the event devoted to J.R.R.Tolkien and Middle-earth. First, the date: April is a month with warm days and the long weekend close to the festivity of 1 May invites families to have excursions and trips, especially if there is an opportunity to make children have a good time with creative laboratories and outdoor games. Then, the locations: events and entertainments will take place nonetheless in three different locations, Cascina Robbiolo, Cascina Fagnana and the Auditorium of Buccinasco city. Support of authorities: this year the municipalities of Buccinasco and Milano are organizing the Festival directly and in collaboration, with five Tolkien cultural sociaties. Just this is an important feature: almost all cultural sociaties focusing on Tolkien in Italy (Tolkieniana Net, Eldalie, ArsT - Tolkien studies roman Society, Granburrone, Bolgeri) have merged into an Sociaties' network, that is, a network in enduring ferment of ideas and initiatives, contact point among different groups which, together and under the same conditions, are working for the circulation of the esteem and the knowledge of the great author from Oxford. 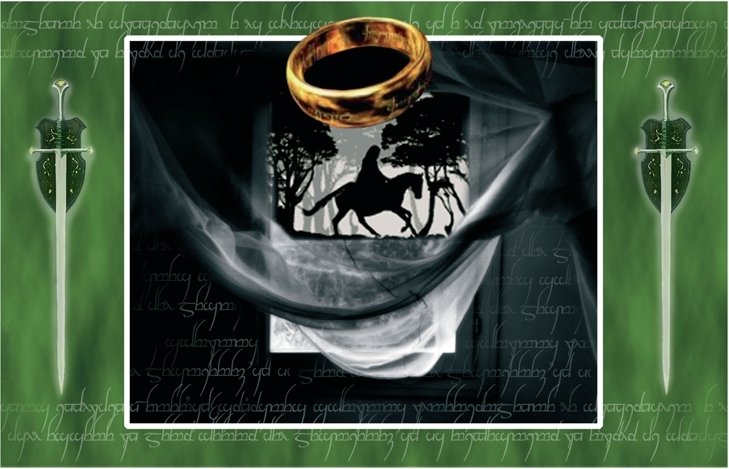 For this purpose, the 2nd edition of Tolkieniana has joined with Eldamar IV and Alla Corte degli Elfi III, two cultural events so far held independently but with a lot of interest from Italian fans. The program is the main course of the event. Tolkien is culture, we have been told by the composer Edoardo Volpi Kellermann, patron of the Festival. "Reading his works reveals an entire universe that leads us from music to literature, from linguistics to art. It is not surprising that any of these threads has generated a myriad of iniziatives throught the time, like artworks, books, paintings, studies, even symphonies like the ones carried by the orchestra director Alessandro Ferrari and me with Sinfonica Tolkieniana". With such a planning, totally free from sectarianism, it's not surprising that the 2nd edition of "Festival Tolkieniana Net" has a very rich programme. Opening towards collaborations has allowed the organisers to gather a parterre of personalities in culture, show, music and journalism, all devoted to Tolkien in Italy. International artists will be present, too: for example Daniel Reeve from New Zealand, illustrator and penman of the movie trilogy of Peter Jackson's The Lord of The Rings; Anke Eissmann from Germany, artist of Bauhaus University of Weimar and member of German Tolkien Society; several writers will take part, for example Quirino Principe, musicologist, poet and editor of the first Italian edition of The Lord of The Rings; Silvana De Mari, author of L'ultimo Elfo and L'ultimo Orco, Adolfo Morganti, Paolo Gulisano and Luisa Vassallo, authors of several texts about Tolkien and his world; many scholars of Tolkien works, like Orsetta Innocenti, from Normale Superiore di Pisa, but also Lorenzo Gammarelli, translator of Tolkien works, Claudio Testi, Tolkien e dintornis director, Cecilia Barella, Landscapes from Middle-Earths editor Norbert Spina, Paolo Petitto, Raffaella Benvenuto and many others. The same goes for music, with concerts of Giuseppe Festa with his Lingalad, of the irish folk band Willo the Wisp and of Ainur, which will conclude the festival translating in music the Tolkien's Silmarillion. Naturally that's not all. The Programme comprehends two art exhibitions with works of painters, illustrators and sculptors from Italy and other countries; courses of languages, calligraphy, reading; round tables, literary café and meetings; shows of reading; contests of illustration, dressmaking, artworks and essays; laboratories for adults and children; and more.